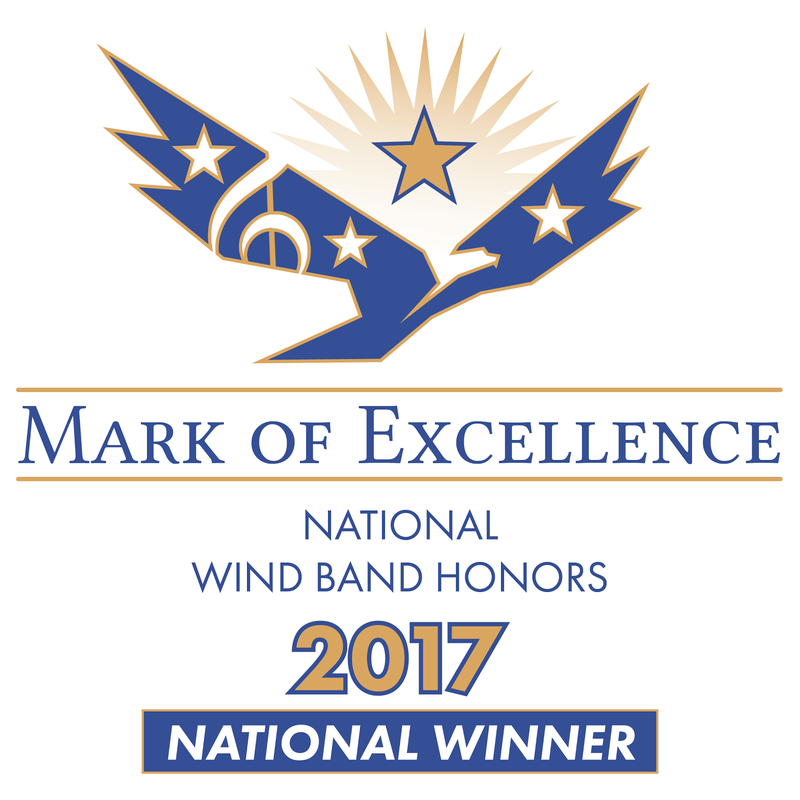 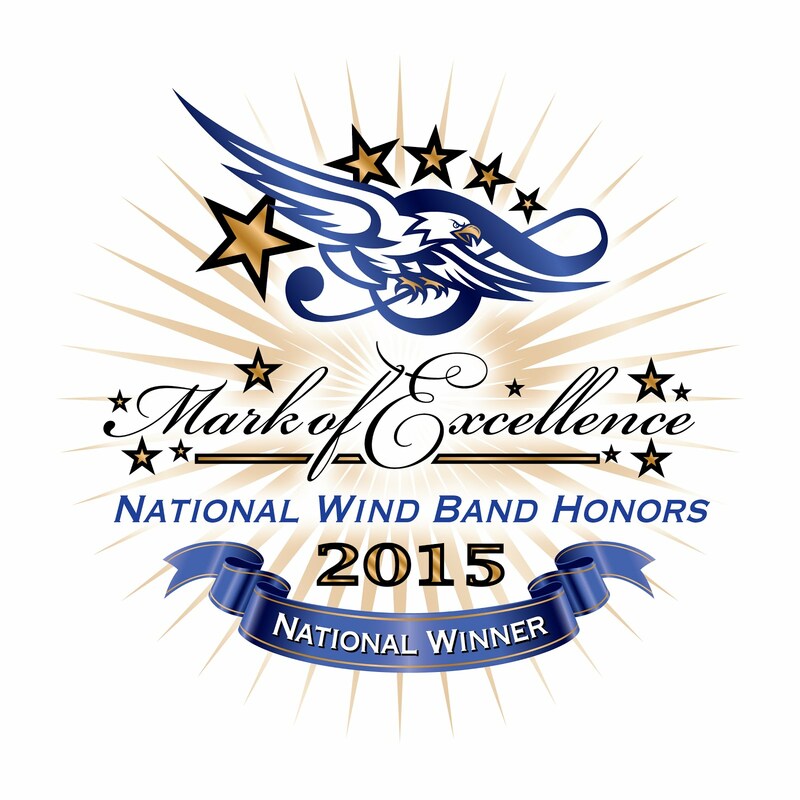 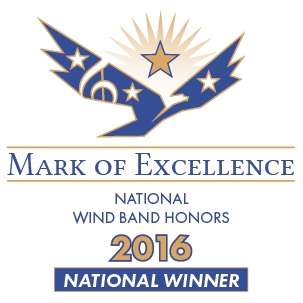 Congratulations once again to the 2016-2017 Honors Band on another monumental success! 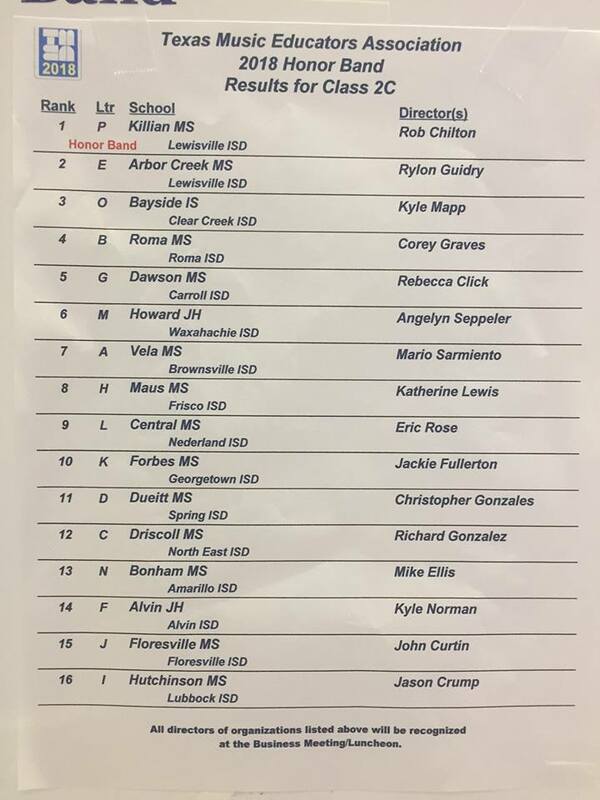 The Honors Band placed 2nd in the Texas Music Educators Association "honor band" state contest. 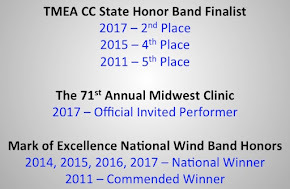 We are so very proud of the progress that our young student musicians continue to make and amazed at their streak of superior performances starting with their Midwest Clinic application, to UIL, finishing with the Spring Concert recordings that will all go down in history. 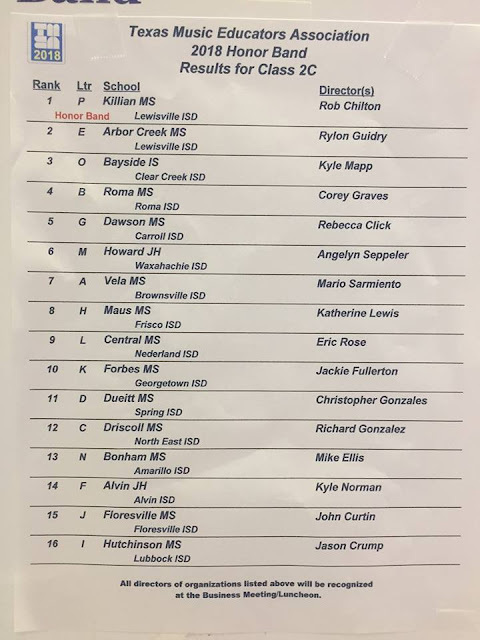 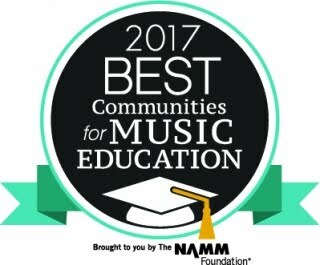 Congratulations to our friends at Killian MS, and good luck in your preparations for the TMEA Clinic & Convention in February!